Under fire yet undeterred by the very clear and present danger, Lance Corporal Leakey ran across the exposed slope of the hill three times to initiate casualty evacuation, re-site machine guns and return fire. His actions proved the turning point, inspiring his comrades to fight back with renewed ferocity. Displaying gritty leadership well above that expected of his rank, Lance Corporal Leakey’s actions single handedly regained the initiative and prevented considerable loss of life. 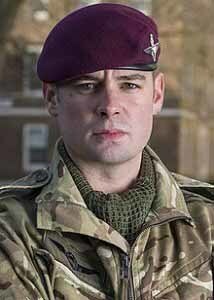 The description of the event as presented by the MOD is typically restrained in its description of the events leading to Joshua Mark Leakey being announced by General Sir Nicholas Carter as the recipient of the Victoria Cross at a ceremony to be held in Buckingham palace. 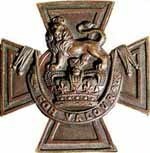 The Victoria cross is a highest award in the British armed forces for bravery. The medal itself is made from melted bronze of captured Russian guns in the siege of Sevastopol during the Crimea War. most of its recipients have been honoured after their death in action. The full description of the events gives a full view of the actions and bravery of Joshua Mark Leakey which has lead to the Victoria cross announcement. The actions for which Leakey was awarded the Victoria Cross occurred on 22 August 2013 in Helmand Province, Afghanistan. 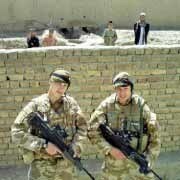 A routine joint patrol composed of British paratroopers, US Marines and Afghan soldiers had targeted a village to search for illegal weapons. Having been flown into the area in Chinook helicopters, the patrol was attacked by machine gun fire and rocket-propelled grenades soon after dismounting. Leakey’s helicopter had landed on a hill near the village and he, with three other paratroopers and an Afghan soldier, was to provide fire support for the main segment of the patrol. From their vantage point, his section could see the attack and heard over their radio that someone had been injured. Leakey ran up the hill to assess the seriousness of the attack and came to the conclusion that urgent action was needed. Though he was only a lance corporal, he took control of the situation and led his section down to the group under attack. Having reached the group under attack, he gave first aid to the wounded US Marine Corps captain and began the process of evacuating him from the battlefield. While under fire, he returned to the machine guns that his section had left at the top of the hill. He moved one to a better position to fire at the attacking Taliban even though he was under constant, accurate fire (bullets were ricocheting off the weapon he was carrying). His actions inspired other soldiers to join in the fightback. While he was manning the machine gun, he was also shouting updates of the situation into his radio.Having realised that more than one machine gun would be needed to effectively fight back the insurgents, he allowed his gun to be taken over by another soldier. He then ran once more through heavy fire to retrieve a second machine gun, position it in a suitable site, and then manned it to fire at the Taliban. Joshua Mark Leakey is the second member of his extended family to be honoured in this way for actions against the enemy , His second cousin twice removed, Nigel Leaky , was posthumously awarded the medal during the second world war. SQR group has a long tradition in working with and honouring members of armed forces and indeed can count many in its rota of staff and associates . We congratulate Joshua Mark Leakey , his family and members of his unit and regiment. They have fought the Taliban, survived the killing fields of Afghanistan, and have been hailed as heroes. Now battle-hardened British troops have swapped military patrols in Helmand province for keeping the peace at barmitzvahs, synagogues and a range of communal events — and it is all thanks to a couple of former IDF soldiers. Shai Slagter and Avi Navama run the SQR Group, a security firm that specialises in hiring and training ex-soldiers who have been made redundant from the army under government defence cuts. Ninety-five per cent of the firm’s 200 employees are former British troops. The Israelis’ efforts have attracted praise from senior army officers, not least Colonel Richard Kemp, commander of British forces in Afghanistan, who commended them “for having the insight to focus on recruiting former British troops”. Almost 4,500 British serviceman were made redundant in June as part of the government plan to reduce regular army numbers from 102,000 to 82,000. West Yorkshire-born Jay Clough, a sergeant who served in Bosnia, Iraq and Afghanistan during his 12 years’ army service, left the forces last year and is now part of the SQR recruitment and training team. The 32-year-old said: “Shai and Avi personally sought me out to employ me. I give them advice on how to incorporate British soldiers into the firm and make them fit in better. “A lot of soldiers feel constantly out of the loop when they come back to the UK. It’s difficult. But being here is like being in the forces — there’s always someone to talk to. The firm opened its London office in 2012, and provides security for high-profile individual and corporate clients, as well as communal functions and simchas. “For us, every job is a military operation, even if it is only a barmitzvah,” said Mr Slagter. For their employees, working for bosses with a background in Mossad, has a certain glamour.